The ancient greeks believed gymnastics to be the perfect symmetry between mind and body. Modern gymnastics evolved at the end of the 19th century. Plato, Aristotle and Homer heartily advocated the strengthening qualities of gymnastic activity. The Greeks believed symmetry between the mind and body was possible only when physical exercise was coupled with intellectual activity. 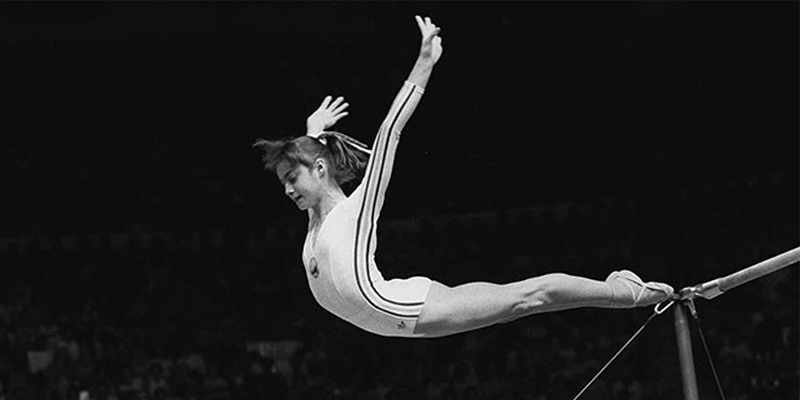 The term "artistic gymnastics" emerged in the early 1800s to distinguish free-flowing styles from techniques used in military training. Gymnastic competitions began to flourish in schools and athletic clubs across Europe and made a fitting return when the Olympic Games were revived in Athens in 1896. Artistic gymnastics is a discipline of gymnastics in which athletes perform short routines (ranging from approximately 30 to 90 seconds) on different apparatus, with less time for vaulting. Women's gymnastics entered the Olympics as a team event in 1928 and was included in the twelfth gymnastics world championships in 1950. In 2001, the traditional vaulting horse was replaced with a new apparatus, sometimes known as a tongue or table.